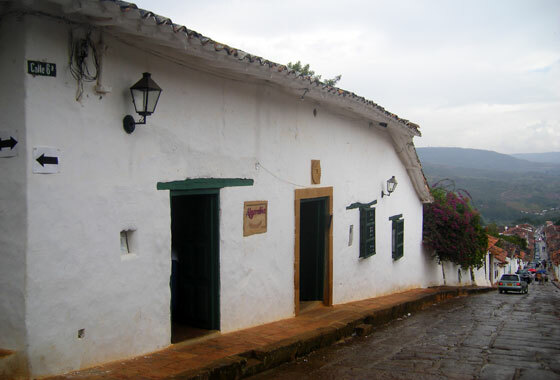 An hour north west of San Gil is the picturesque town of Barichara. 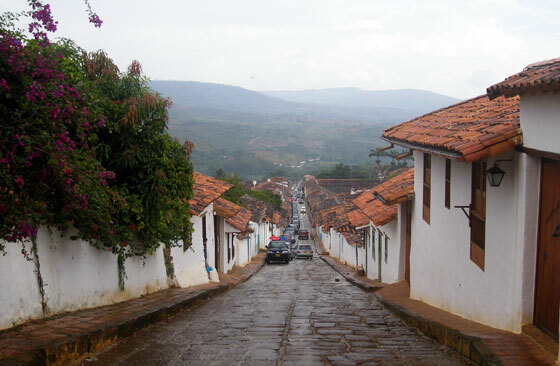 It is another of Colombia's quintessential colonial towns; cobbled streets, white-washed homes topped by red brick roofs, a charming central plaza, all backing on to green hills and mountains. 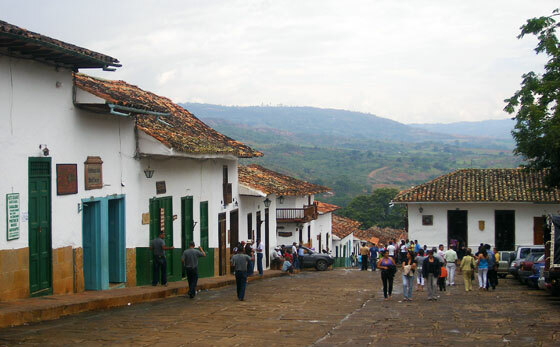 In 1975 the town received the title of 'Colombia's most beautiful town' and was declared a national monument. Whether or not it is indeed Colombia's most beautiful town makes for a nice discussion whilst sipping a beer or suchlike in the shade of its leafy plaza. The trip from San Gil is a pleasant one. There are good views of lush green hilly countryside on both sides of the road that weaves it way towards Barichara. From about halfway you pass various colonial houses selling pottery. Barichara's main plaza is dominated by the Catedral de la Inmaculada Concepción on the northern side. On the western side is La Casa de la Cultura (The Culture House) which is worth a peek inside. 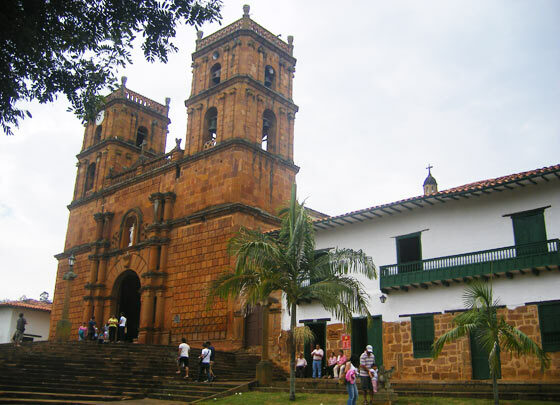 It contains paintings, artifacts from the Guane people and some fossils. Attached to it is a small gift shop, great for souvenirs and presents. Next to La Casa de la Cultura on the right hand side is the town hall. 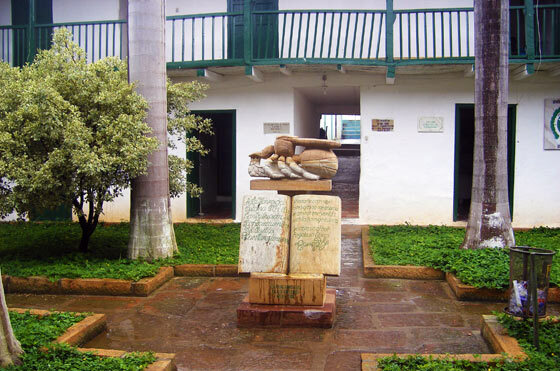 In its courtyard is a monument of the Hormiga Culona (a large ant which is eaten in this area of the country). A nice photo opportunity! Monument of the Hormiga Culona ('large-bottomed' ant) - a delicacy in these parts! Walking north up the sloping calle 6 (the street leading up from the right hand corner of the plaza as you face the cathedral) takes you to Iglesia de Santa Bárbara, a small chapel inaugurated around the turn of the 19th century. From the chapel are good views back over the town. Just behind Iglesia de Santa Barbara is El Parque de Las Artes, a nicely landscaped area of trees and plants which contains a fantastic lookout point as the land gently slopes down to the Rio Suarez before sharply climbing to form the mountain range known as the 'Cordillera de los Cobardes'. Four blocks down from the central plaza on carrera 2 (# 5 - 60) is La Casa de Aquileo Parra, the house of Aquileo Parra, Colombian president from 1876 to 1878. The best boutique hotel in town is Hotel Hicasua. This beautiful colonial hotel is located just 4 blocks from the main plaza. It features a swimming pool, hot tub and attractive garden. The rooms are comfortable and well-decorated and the staff are incredibly helpful and friendly. For cheaper accommodation try Hostal La mansion de Virginia, a small hotel with comfortable rooms, if a little basic. The staff are friendly and provide useful help with tours and travel information. Algarabia is a cafe/restaurant on the corner of calle 5 and carrera 11 up near the Iglesia Santa Barbara. It has an eclectic menu including Spanish dishes such as paella, and has a good selection of wines. Plenilunio Café (Calle 6 No. 7-74) is a small, reasonably priced Italian restaurant with only five tables, just a block or so up from the central plaza. Several kilometers downstream from the hoards of rafters careering towards, and terminating in, San Gil, the Rio Fonce continues to sweep its way west where it flows into the Rio Suarez, which is turn flows north east along the base of the Los Cobardes mountain range, ultimately becoming the Rio Chicamocha and passing by the cable cars, paragliders and helicopters of Parque Nacional del Chicamocha. 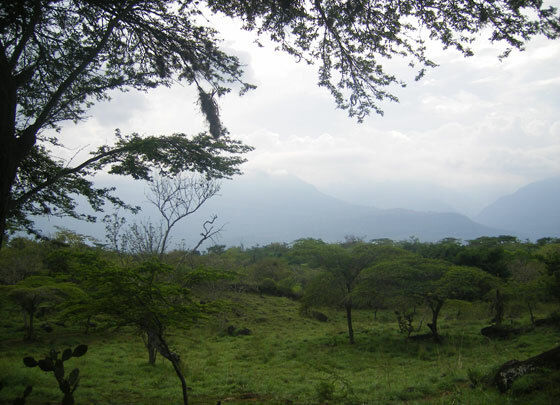 From the lookout point in El Parque de Las Artes (see above section) the lush green landscape gradually slopes down to the Rio Suarez and it is through this beautiful countryside that a path winds its way to one of Colombia's best kept secrets; the small village of Guane. 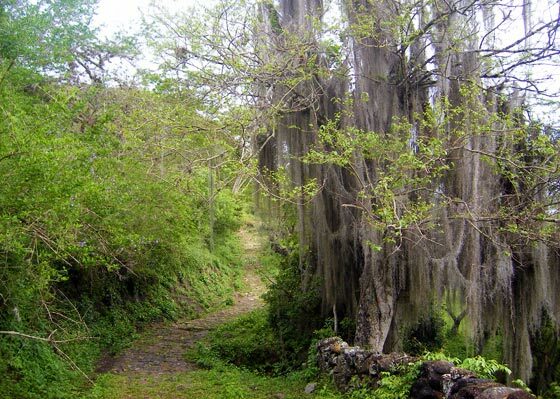 The path is named El Camino Real and begins in Barichara on the corner of calle 4 and carrera 10. The walk is mostly downhill with just a few moderate uphill sections and can be comfortably done in an hour and a half. The path is of good quality and is easy to follow. At a couple of places along the path women sometimes sit at the gate of their houses waiting to sell drinks and snacks to passers-by. The walk is very enjoyable and highly recommended. And the destination isn't half bad either!